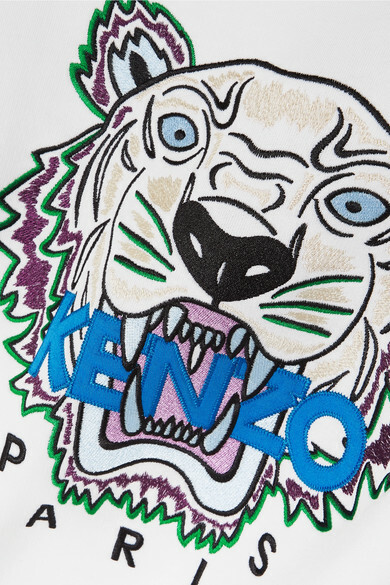 Creative Directors Carol Lim and Humberto Leon were sifting through the KENZO archives for inspiration when they came across a small running tiger motif, and ever since the emblem has become one of the label's most recognizable signatures. 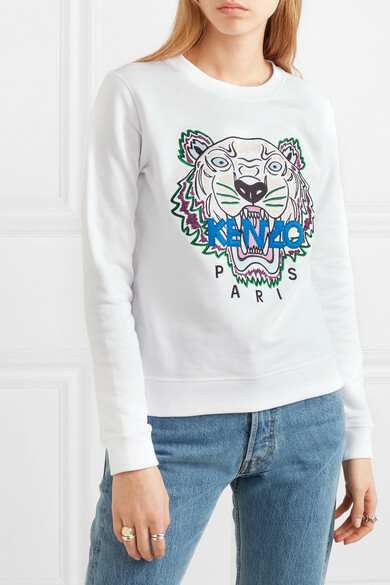 This sweatshirt is made from cotton-jersey and embroidered with colorful threads and the house moniker. 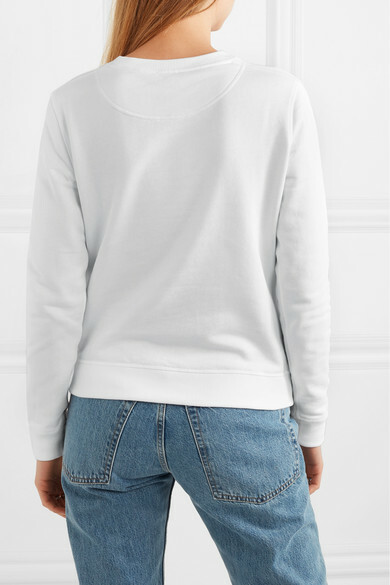 It'll make the perfect partner to your favorite pair of jeans. 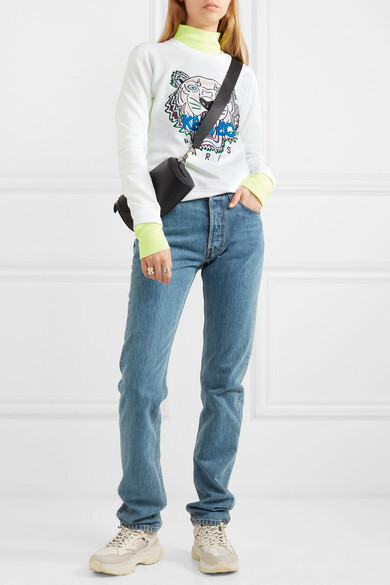 Shown here with: Helmut Lang Jeans, Helmut Lang Sweater, Brandblack Sneakers, Loewe Pouch, Jennifer Fisher Ring, Paola Vilas Ring, Sophie Buhai Rings.